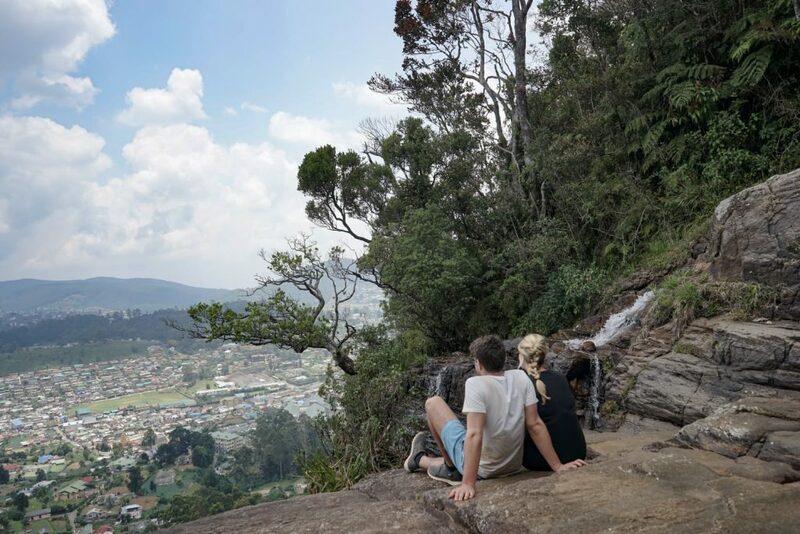 Arriving from your hot, dusty tuk tuk ride into the fresh, manicured streets of Nuwara Eliya, you can see why people rave about one of Sri Lankas favourite destinations. 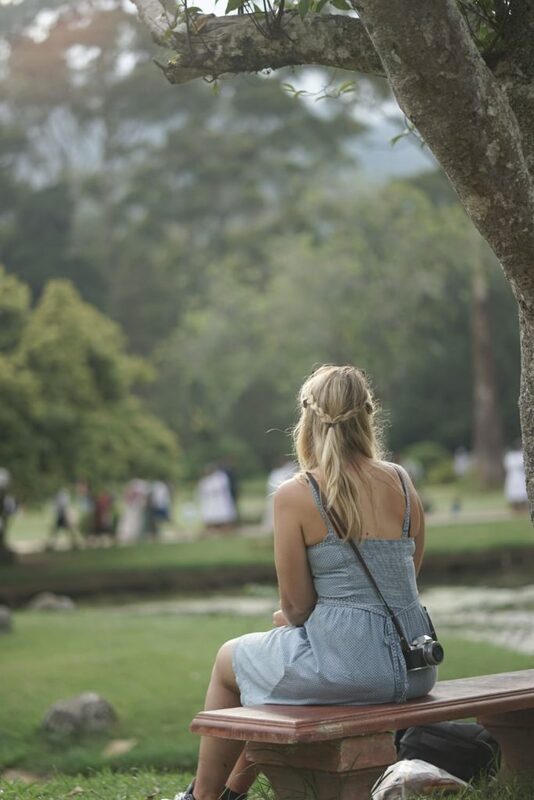 When you ask people about Sri Lanka’s ‘must go’ destinations, Nuwara Eliya is always top of peoples list. If you are craving some western home comforts after a long time away then I imagine this would seem like heaven. 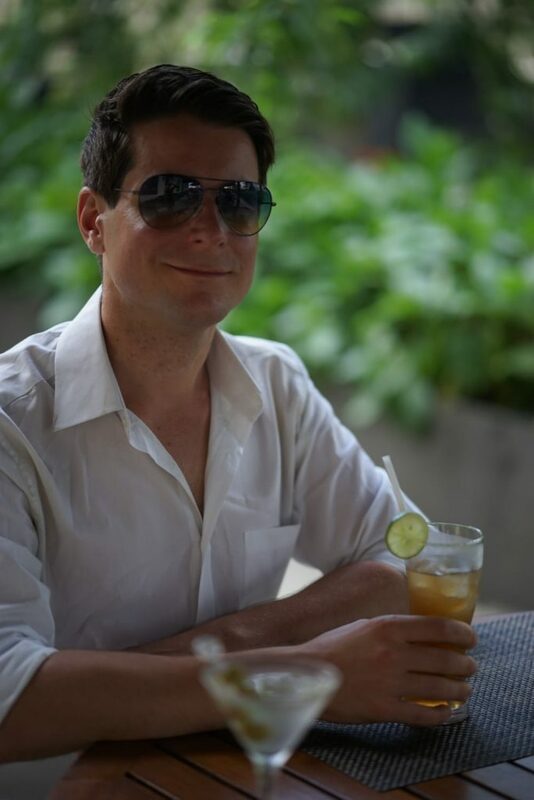 Old colonial hotels offer cocktails at (near) Sri Lankan prices and you can sit sipping them at pretty umbrella clad tables looking out onto pristine lawns and refreshing fountains. If you encounter an afternoon downpour head inside and be entertained by a grand pianist in the drawing room, and if you are on a budget make sure to use the incredibly luxurious toilets! You may want to while away your days here playing golf, walking the beautiful gardens or goggling at the colonial style houses and hotels (it is here that English and Scottish pioneers of the Sri Lankan tea plantation industry came to relax), but if you’re anything like us you will want to get out into the countryside and explore. There are numerous outside activities to do here. We decided to walk to a local waterfall, ‘Lovers Leap’ as it was opposite a tea estate we wanted to visit. We grabbed a tuk tuk from the centre of town to the Pedro Tea Estate for Rs300 (I’m sure you could haggle a return trip for less but we hate feeling time restricted!) Alternatively, you could catch a Ragalla-bound bus (Rs 15) from the main bus station in Nuwara Eliya. In our opinion the bus journeys were always an experience in themselves but we planned our trip on the day of a local festival and the buses were not running as normal. The Pedro Tea Estate was well worth a visit if you have time. More importantly, almost directly opposite the tea estate entrance there is a crossroads. 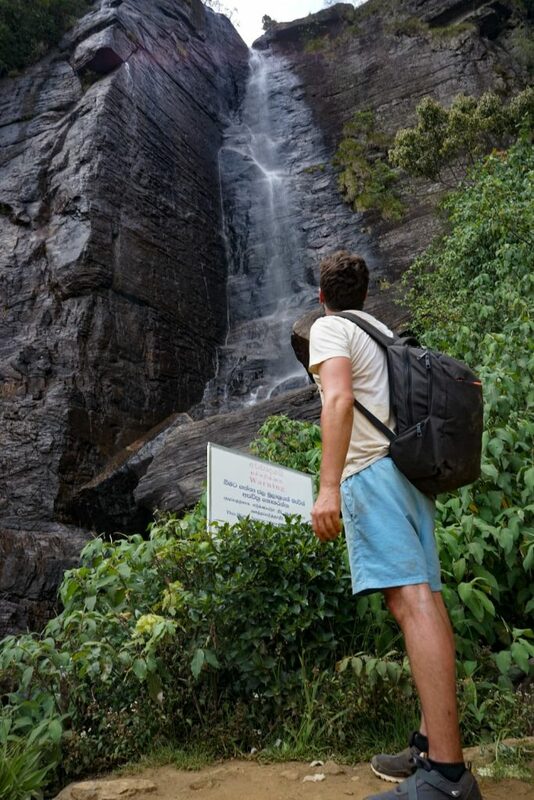 If you cross the road and head up into more tea plantations you should see a sign to Lovers Leap waterfall. The road took us through beautiful tea plantations and past little houses nestled in the hill. It was a casual hours walk to the waterfall and although uphill, not too strenuous. The walk was worth it. The waterfall was stunning and we were pleased we had ignored the tuk tuk drivers who tried to convince us it would be dry for various reasons so they could take us to another location. 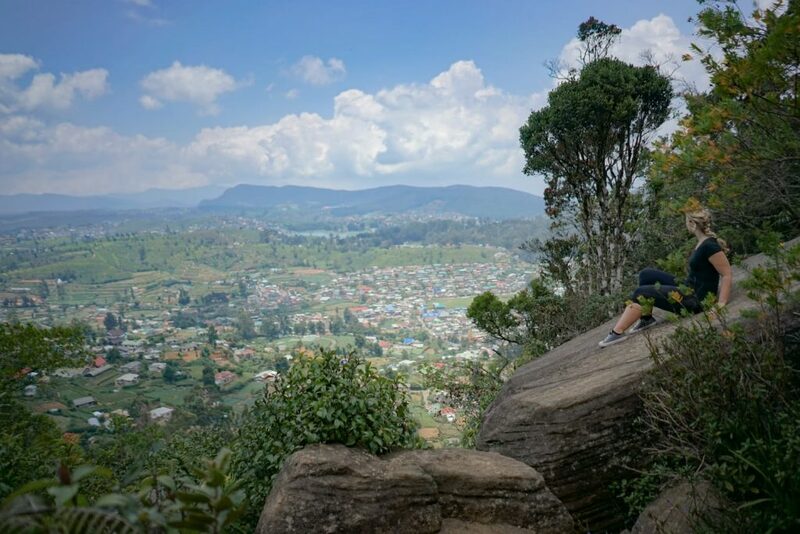 Even if you get unlucky and arrive to no waterfall I recommend adding on the walk/climb I have described below, where the views across Nuwara Eliya and beyond are breathtaking. Lovers Leap Waterfall gets its name from old legend. Once upon a time a royal prince went hunting in the jungle. On his way there he met a beautiful girl from the local village and they fell head over heels in love. The Eliya king and queen opposed the marriage and refused to allow it. In their despair at being forced apart they jumped from the top of the waterfall to their watery deaths below, where in death they could be united forever. Before we relaxed by the waterfall our curiosity got the better of us and we followed one of the many tracks off into the woodland. Keep heading up and you will come across a path heading up the side of the waterfall. It was a bit of a clamber (you’ll want to be wearing leggings and sturdy shoes!) Not being a fan of clambering up high I had a few nervous moments and I was pleased I had Adam with me to help and encourage me, but for those of you who are more sure footed and mountain experienced I think it would be an easy scramble up to the top of the waterfall. The trek in total only took about 3 hours, with time included for a leisurely lunch. It was perfect for an afternoons explore and an escape from the rest of the world. If you’re looking for a more intrepid and adventurous trek head to the Knuckles Range Mountains near Kandy. Check out our experience of this beautiful 2 day trek here. Wear something you can scramble around in if you want to make it to the top. Bring the obvious….water, suncream, snacks, a mini first aid kit of you’re clumsy like me! Bring some stickers or stationary for the kids playing outside in the local village. It’s nice to make others smile! Be careful on the rocks beneath the waterfall, they were pretty slippy! 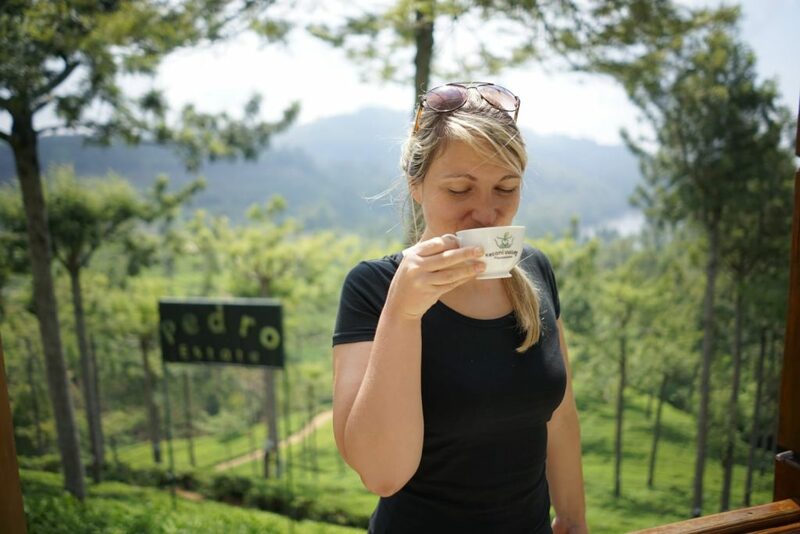 If you want to visit the Pedro Tea Estate while you’re there check the opening times here. We got very mixed information from the locals!